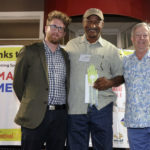 Judge Perry Price (left) and David Ramsey of Raymond James (right) presented the Best of Show Award to John Mascoll (Safety Harbor, Fla.) for wood. 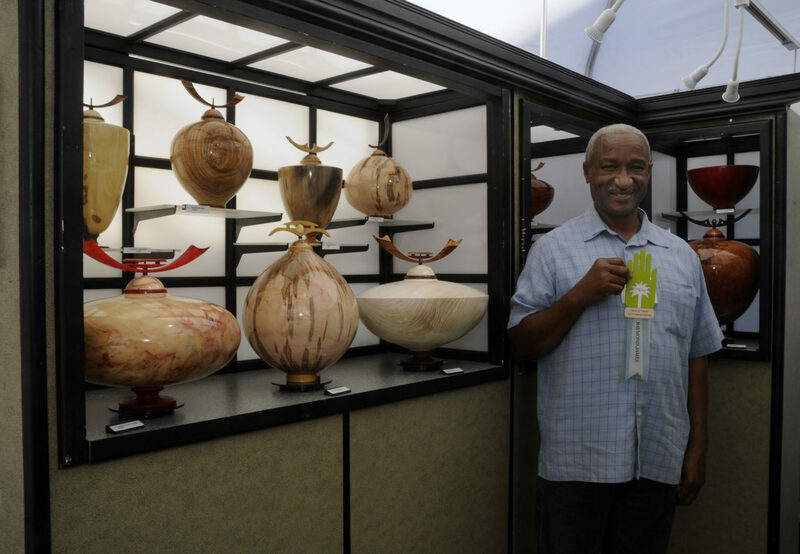 Raymond James Best of Show winner John Mascoll, of Safety Harbor, Fla., with his wood-turned art. 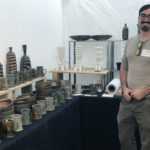 William Kidd (Lakeland, Fla.) won the Northwestern Mutual Directors’ Best of Show Award for Ceramics. 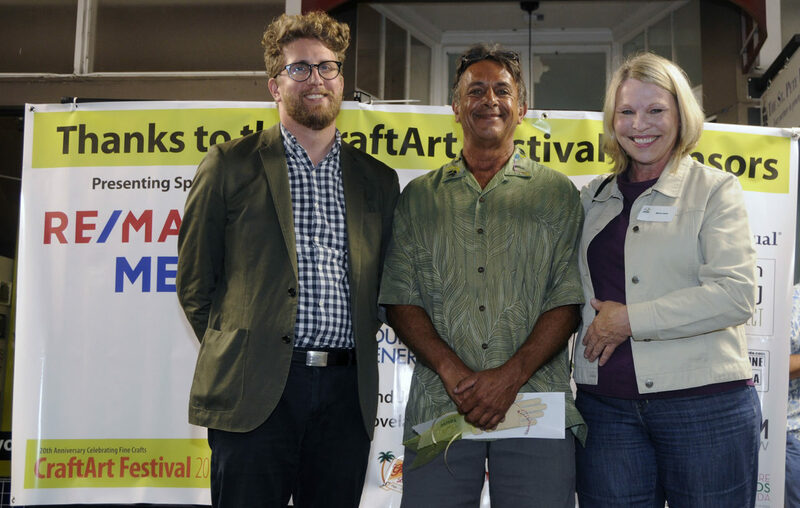 Judge Perry Price (left) and Jeff Baker (right) presented the Duke Energy Award of Excellence to fiber artist Leeann Kroetsch (Tampa, Fla.). 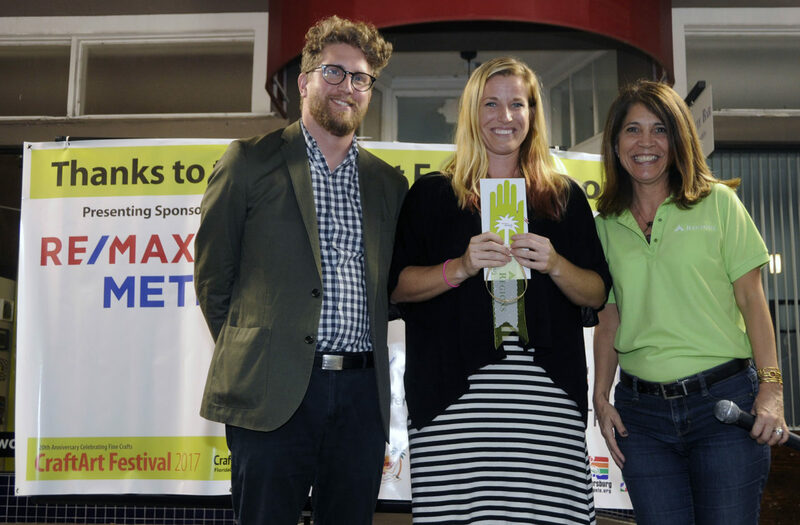 Judge Perry Price (left) and Stacia Schrader (right) presented the Regions Bank Award of Excellence to sculptor Taylor Robenalt (Sarasota, Fla.). 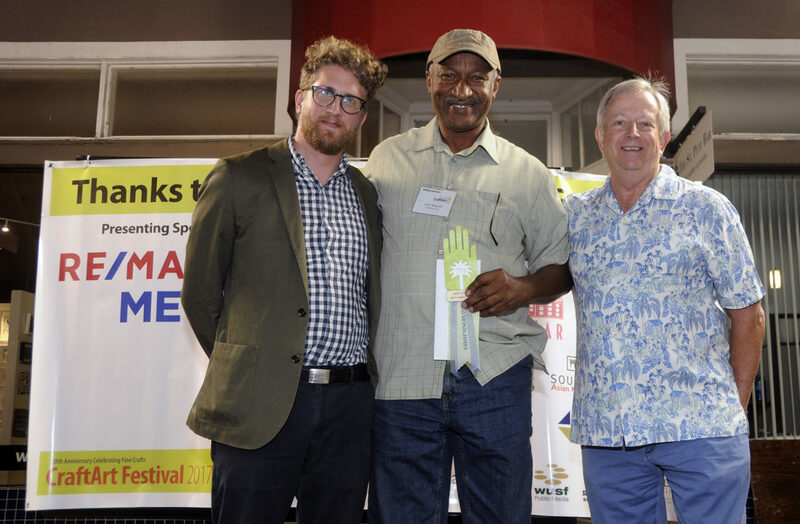 Judge Perry Price (left) and Claudette Fornuto (right) presented the Trenam Law Award of Merit to metal sculptor Dominice Gilbert (St. Petersburg, Fla.). 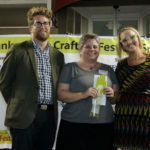 Judge Perry Price (left) and Jessi Rogers presented the Souzou Asian Kitchen Award of Merit to Theresa St. Romain, a jewelry artist (Tucker, Ga.). 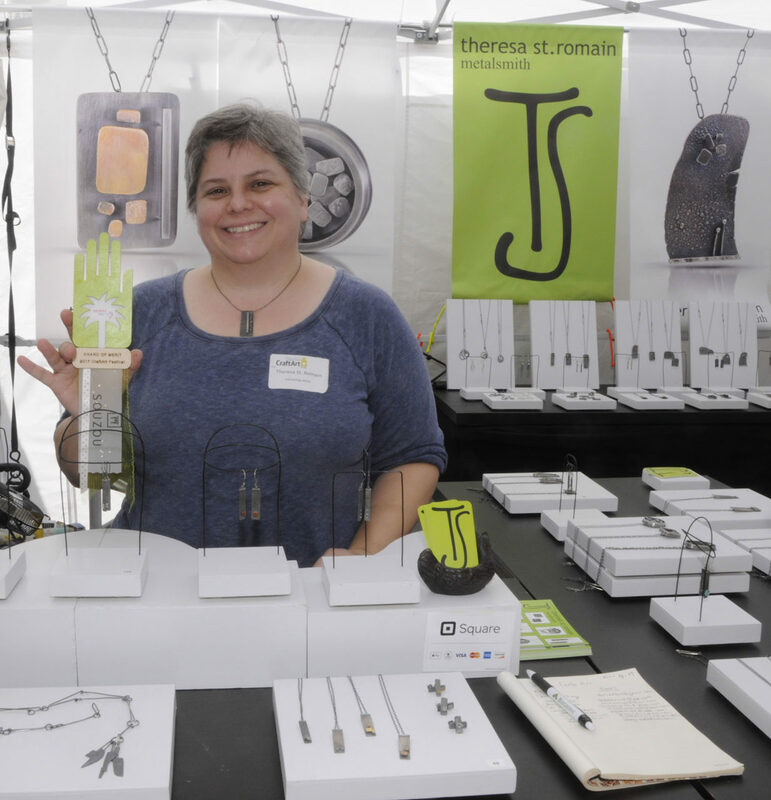 Theresa St. Romain, a jewelry artist (Tucker, Ga.) received the Award of Merit from Souzou Asian Kitchen. 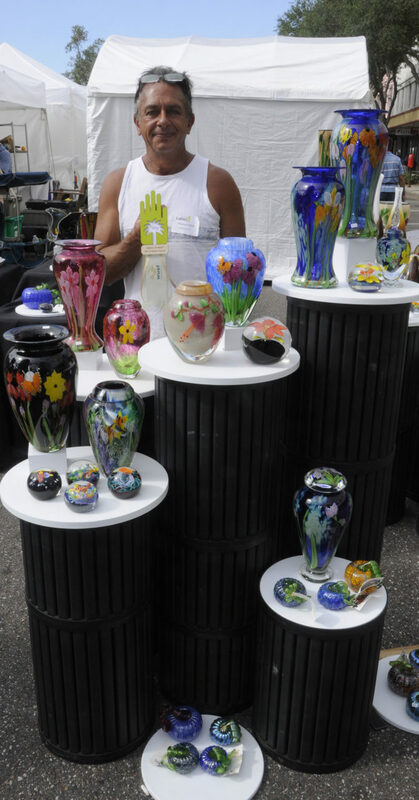 Glass artist Mayauel Ward (Manhattan Beach, Ca.) 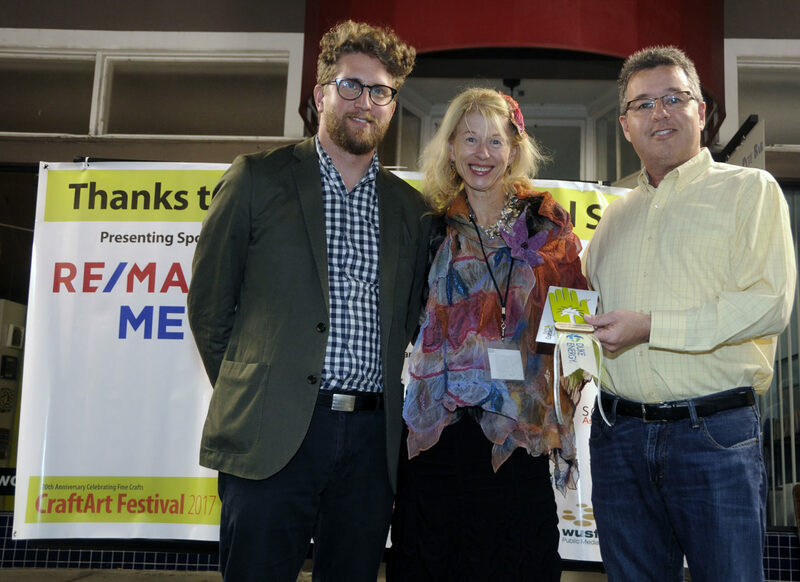 won the WUSF Award of Merit. 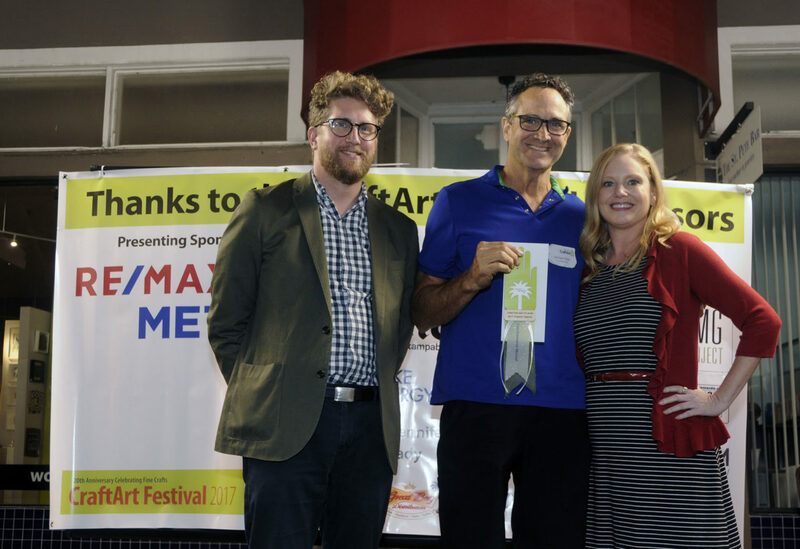 Judge Perry Price (left) presented the Tyrone Mazda Award of Excellence to artist Alan Johnson (St. Petersburg, Fla.) for ceramics. 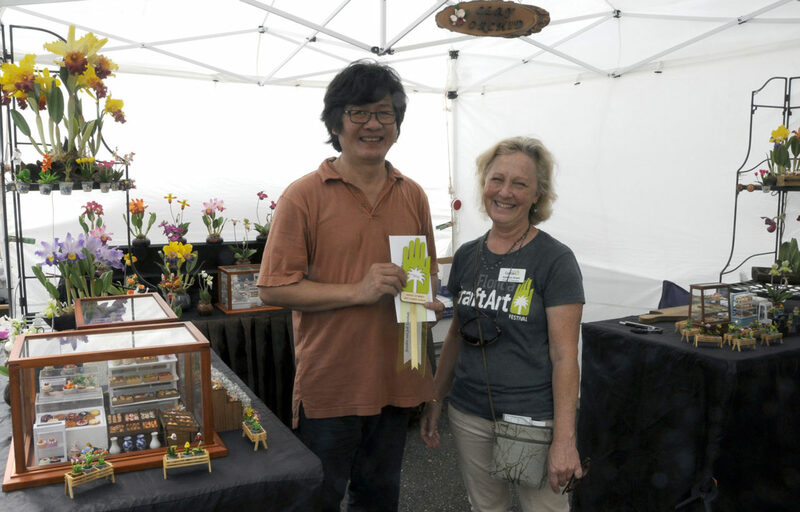 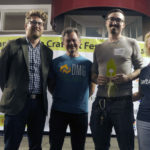 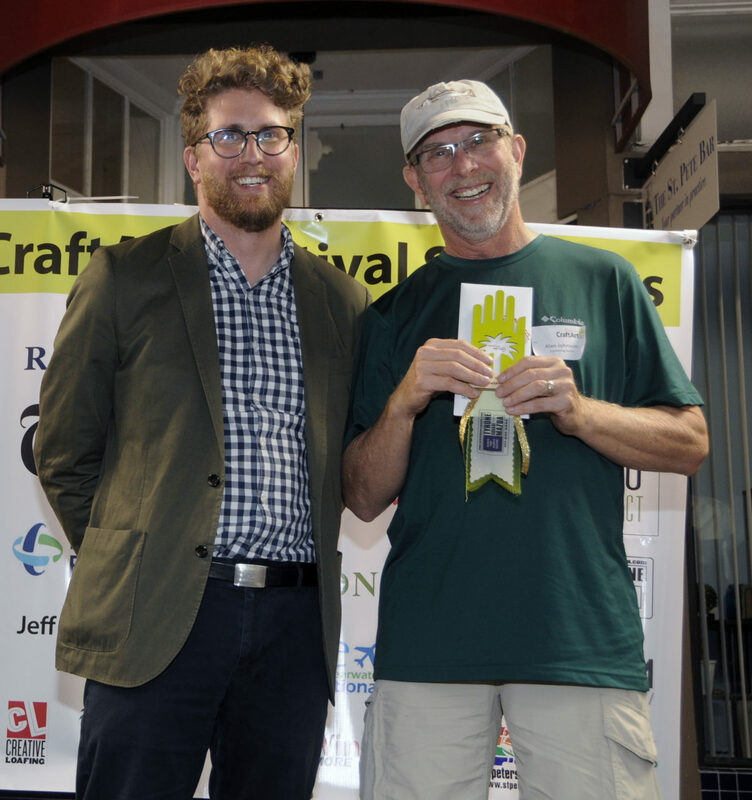 Awards were presented to the 2017 CraftArt Festival artists. 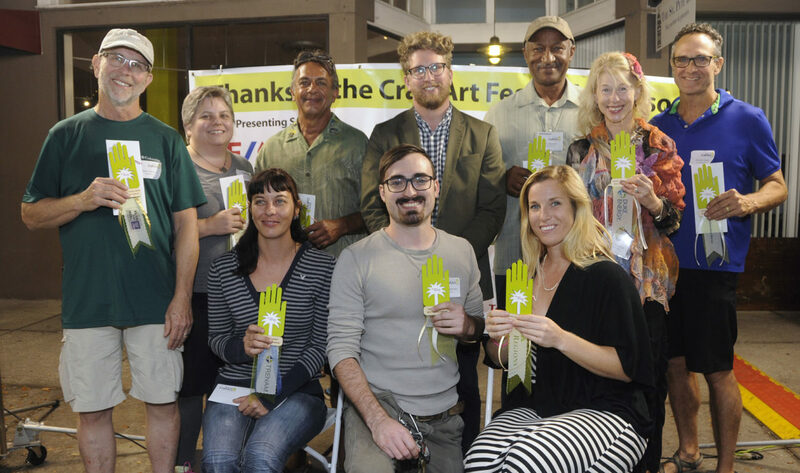 From left seated are Dominice Gilbert, Colby Charpentier, Taylor Robenalt; standing are Alan Johnson, Theresa St. Romain, Mayauel Ward, judge Perry Price, John Mascall, Leeann Kroetsch and William Kidd. 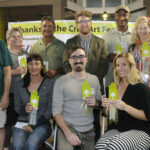 From left: Judge Perry Price, Duncan McClellan, Colby Charpentier and Kathryn Howd, Florida CraftArt Board President. 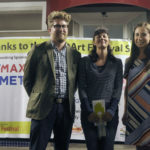 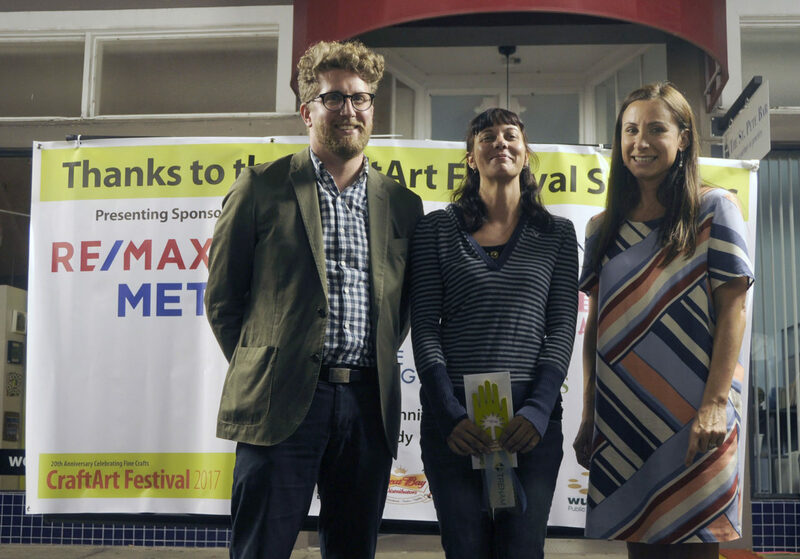 DMG School Project presented the Emerging Artist Award to ceramic artist Colby Charpentier (St. Petersburg, Fla.). 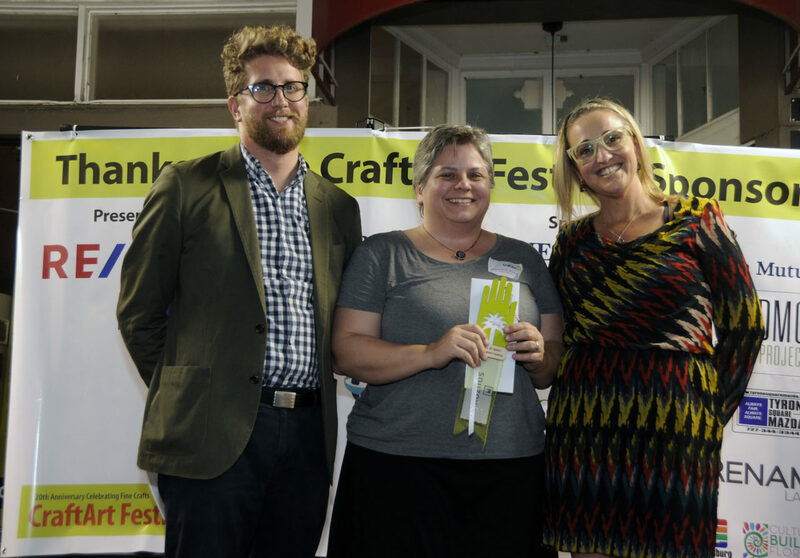 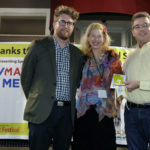 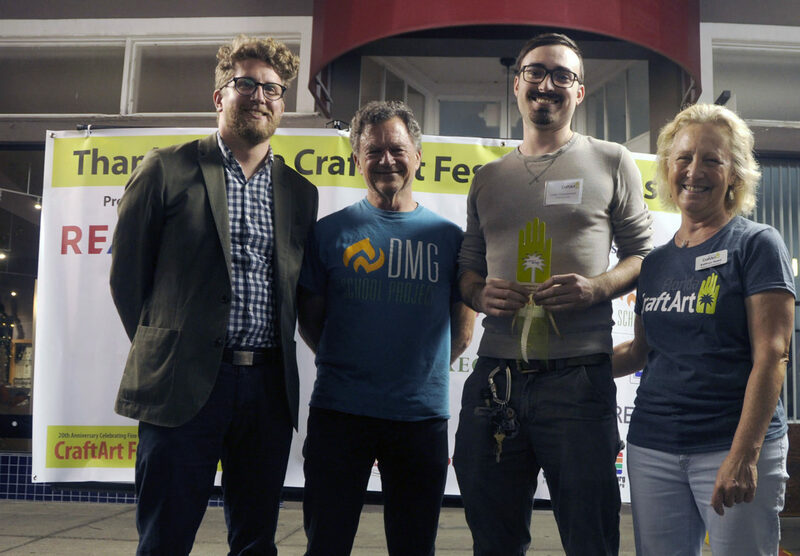 Jonathan Stopper – Creative Loafing Award of Merit is presented by Kathryn Howd, Florida CraftArt Board President. 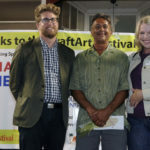 Mixed Media artist Kowit Jitpraphai (Tallahassee, Fla.) received the Jennifer and Jeff Lovelady Award of Merit. 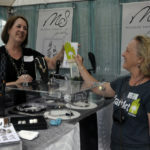 St. Pete-Clearwater International Airport Award of Merit went to jewelry artist Maureen Shankey (St. Petersburg, Fla.). 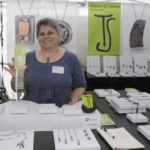 The nation’s top contemporary craft artists came from 19 states to display and sell their creations at Florida CraftArt’s 20th Annual CraftArt Festival. 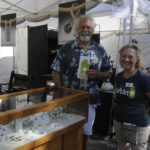 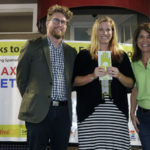 The two-day festival, presented by RE/MAX METRO, was held on November 18 and 19, at Central Avenue and 5th Street in downtown St. Petersburg, kicks off the Holiday shopping season. 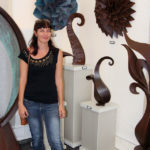 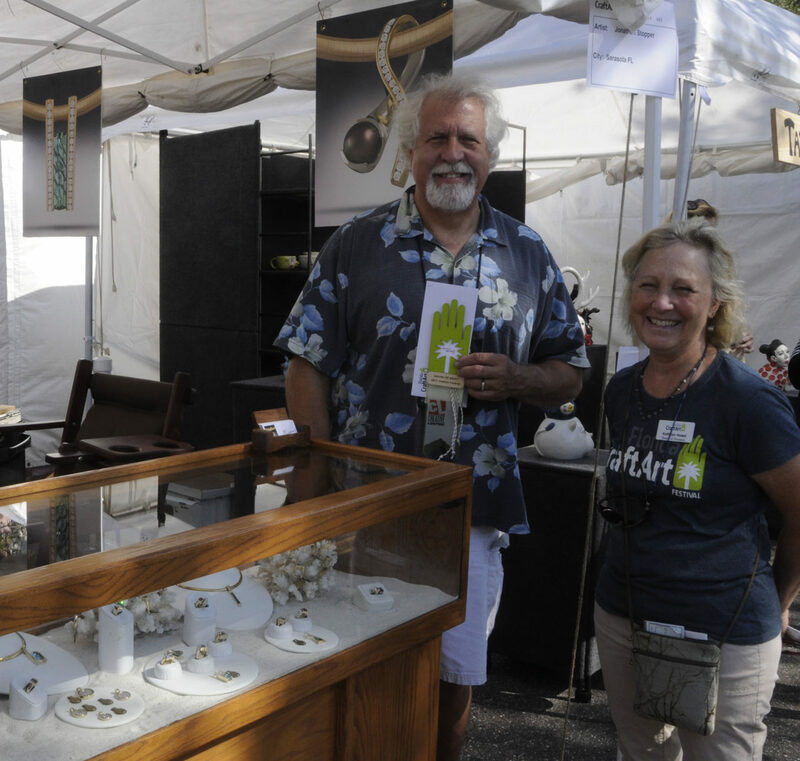 The juried fine craft art festival features nationally established and emerging fine craft artists with handmade works in clay, fiber, glass, jewelry, metal, paper and mixed media. 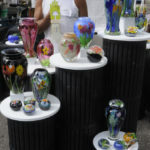 Visitors enjoy artist demonstrations, food trucks, craft beers and wine, and a kids’ art activity tent sponsored by The Don Cesar. 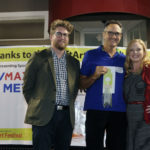 The prestigious judge for the CraftArt Festival 2017 was Perry Price, the executive director of the Houston Museum of Contemporary Craft, who presented $11,000 in cash awards to the following winners in the craft categories. 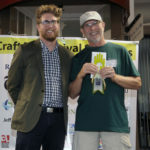 Raymond James Best of Show Award was presented to John Mascoll (Safety Harbor, Fla.) for wood. 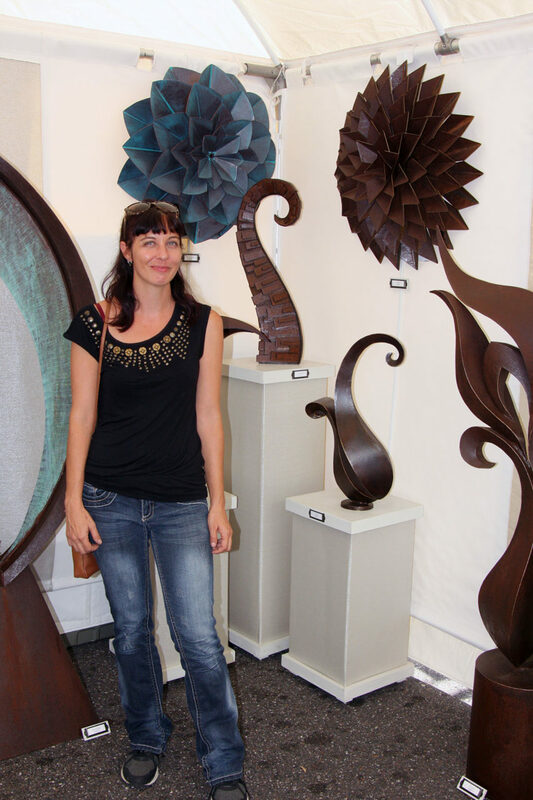 Duke Energy Award of Excellence was presented to fiber artist Leeann Kroetsch (Tampa, Fla.). 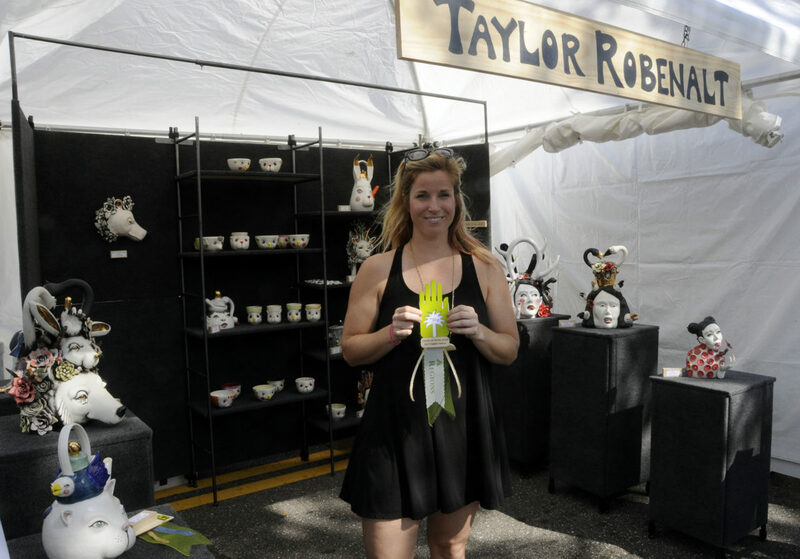 Ceramic sculptor Taylor Robenalt (Sarasota, Fla.) won the Regions Bank Award of Excellence. 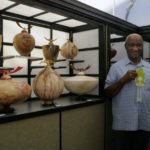 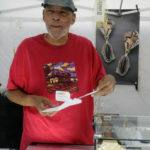 Tyrone Mazda Award of Excellence was given to artist Alan Johnson (St. Petersburg, Fla.) for ceramics. 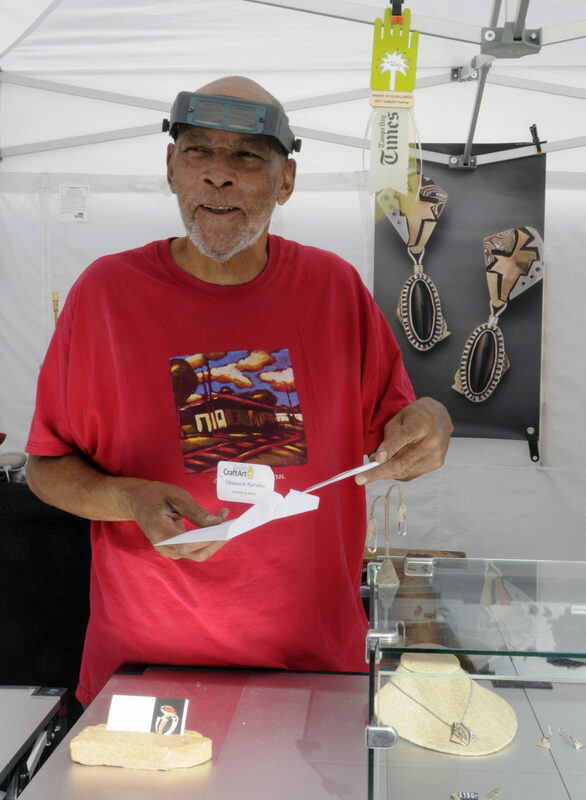 Jewelry artist Jonathan Stopper (Sarasota, Fla.) won the Creative Loafing Award of Merit. 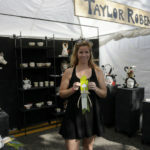 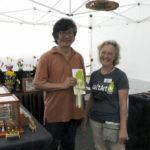 Theresa St. Romain, a jewelry artist (Tucker, Ga.) was awarded the Souzou Asian Kitchen Award of Merit. 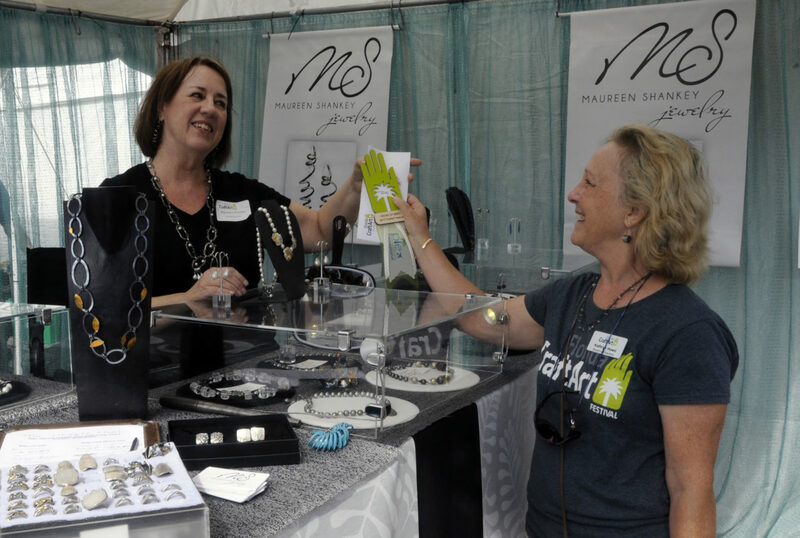 St. Pete-Clearwater International Airport Award of Merit went to jewelry artist Maureen Shankey (Miami, Fla.). 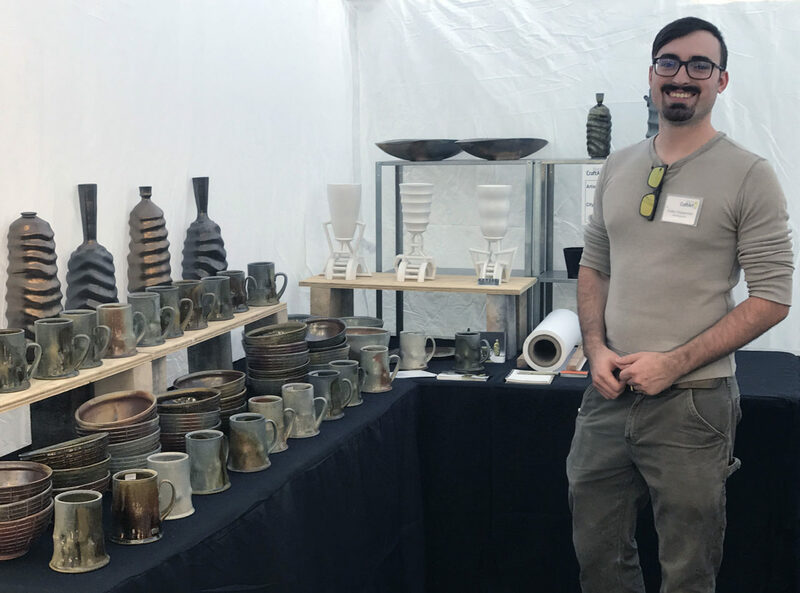 Duncan McClellan of the DMG School Project presented the Emerging Artist Award to ceramic artist Colby Charpentier (St. Petersburg, Fla.).